Pristine Home is a leading cleaning services company that provides professional office and home cleaning in Homebush. We have over 10 years of experience in the industry and have served the cleaning needs of hundreds of satisfied clients. Our team of cleaning technicians are knowledgeable in the ins and outs of performing a basic and massive cleaning of houses and workplaces. Whether you require a one-off cleaning or need ongoing weekly cleaning, we can accommodate your requests. We can also send our team to your home the next day if you have an immediate need for quality cleaning. Cleaning the house is challenging, especially when you have to do it alone. It takes away your time from other important things and saps your energy, leaving you exhausted and in need of a good rest. 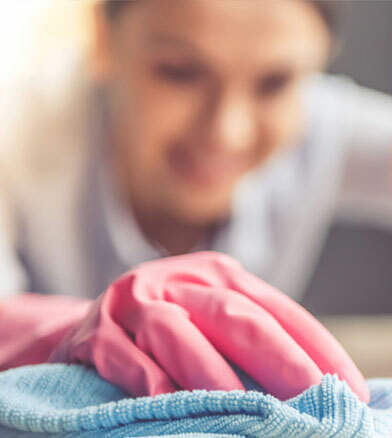 With our domestic cleaning service, you can lessen the need for frequent intensive cleaning, as we take care of dusting your home from top to bottom. We also make sure that your living space will be free from dirt and bacteria. The rules for cleaning a rental property are strict because landlords want to make sure that it will be presentable to potential renters. As such, you want to have the place professionally cleaned to meet the strict standards of your landlord, and to get your full deposit back. Our end of tenancy cleaning is designed to make rentals look as close to their original condition as possible. We offer apartment cleaning services to meet the demand of Homebush residents and business for quality cleaning services that are priced moderately. You can count on our cleaning team to leave your living area, bathroom, kitchen, and bedrooms looking spotless clean. Leaving a rented property is a big task – you have to fix any changes you made with the place, pack your things, and perform a deep clean to be eligible to get your bond back. To avoid forfeiting your deposit, call in our highly-trained cleaners to perform vacate cleaning on the property. 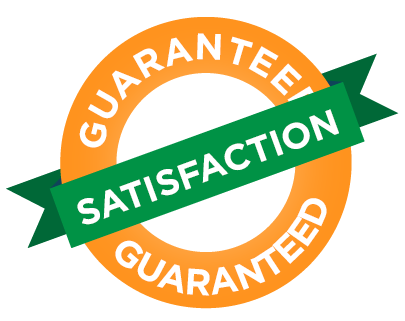 We are familiar with the specific requirements of landlords relating to end of lease cleaning and provide a guarantee that you will receive your bond back in full. You will be hard pressed to find someone who loves cleaning their bathroom. It simply is a messy chore that many of us wish to avoid. Even though you may dislike this task, the fact remains that having a clean bathroom is the key to stopping bacteria and germs from spreading. If you have no desire to clean the bathroom but still want to keep it free from dirt and germs, let our cleaning technicians take over the task. We will wipe the counters and sink, clean the toilet seat and handle, empty the trash bin, and wash shower curtains, just to name a few. Clean away the dirt and dust that have accumulated throughout winter by scheduling a spring cleaning appointment with Pristine Home. We will get your house looking ready for springtime festivities by vacuuming the floors, washing windows, removing soot buildup from the fireplace, and dusting all surfaces. Transition to a new home with ease by booking our professional cleaners to perform a thorough move out/move in cleaning. We take care of cleaning all surfaces, dusting blinds, washing window panes, cleaning air vents, and cleaning wardrobes and drawers to get the property ready for occupancy. We provide top-notch cleaning services at reasonable prices. Part of our commitment to your satisfaction is to set rates that do not deviate from the current pricing of other cleaning services in Homebush. This way, you can schedule a regular cleaning for your home and pay just the right amount. Booking a residential or commercial cleaning service with us is as easy as 1-2-3! Go online and book a cleaner through our site, approve the instant quote that will be displayed, and let us take care of sending trained cleaners to your home as early as the next day. It is our company’s promise to clean your home and workplace better. As part of our commitment to our clients’ satisfaction, we will address any issue regarding our services at no additional cost. Too Exhausted to Do Cleaning Chores? Managing cleaning chores is a constant challenge when you have a myriad of other tasks to accomplish at home. No matter how many times you wipe dirty surfaces and sweep the floors, you will find that dust is everywhere and it seems like there is no end to all the cleaning tasks you have to complete. If you are constantly struggling to maintain cleanliness in the house, let Pristine Home supplement some of the housework you do. We will take over the regular cleaning of your home, so you can have more free time to enjoy. 10 Years Experience: We’ve been operating in Homebush and the surrounding suburbs for 10 years now! We continue to receive great reviews from our new and loyal customers because of the professionalism of our cleaning staff and the quality of the cleaning services we provide. We are quick, efficient and effective at what we do. Our professional reputation is built on 10 years of experience. We are the most trusted cleaners in Sydney. 1000s of happy customers all through Homebush have been extremely happy with our services. We only employee the highest quality of people. You can trust that all cleaners working for us have been personally vetted and police checked. We can get a cleaner out to you quickly and on the same day if required. We operate all over Sydney and are also local to Homebush. Contact us today and book your cleaner online in 60 seconds. Excellent customer service and cleaner the agency sent did a fantastic job in cleaning our house. We have booked a weekly service and are extremely satisfied. Pristine home have a great team! Always reliable and the house is spotless when they leave (which is a big ask given I share the space with quite a few people). I'd highly recommend them to anyone who's looking for a cleaner!